Definitely not sure on this outfit.. 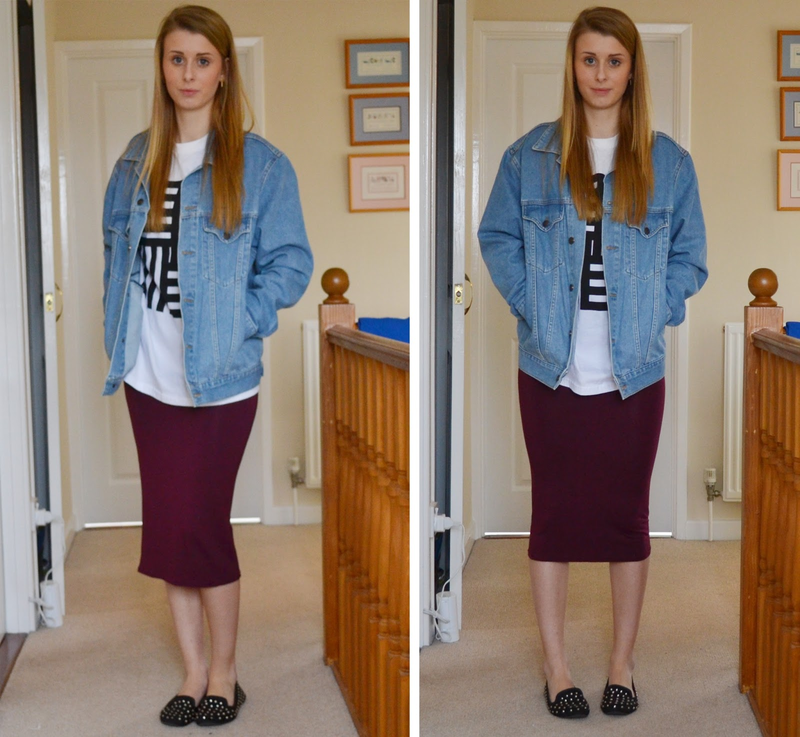 I saw somebody working a midi skirt and denim jacket at school a while ago and thought it looked great so had a go myself, but unfortunately I don’t have a midi skirt and Primark didn’t either, so I improvised! I chucked my favourite midi dress underneath but feel like maybe I need a skirt so I can tuck the top in slightly? I’m not sure. It’s certainly fun experimenting with my clothes though, it’s not something I do a lot! I am officially on my Easter Holidays! Two whole weeks off to sleep, eat and blog. Oh, and revise for my 14 exams I have soon approaching 🙁 Got some good news yesterday though, I managed a total of 49/50 on both of my Geography coursework pieces.. let’s just hope I can live up to the family tradition and get my A* over all! Hope you guys have a brilliant Easter, I personally can’t wait to stuff my face with chocolate and crisps, I’m actually very surprised and proud that I managed to give both up for lent. Mum and I are making a super chocolaty dessert for Sunday.. anyone have any suggestions? "Review: Soap And Glory Cleanser"